Two of our favorite vendors at the Barton Creek Farmers’ Market (other than Johnson’s Backyard Garden, of course) are Dad’s Granola and Rinkon Farm’s Preserves. This recipe combines their marvelous products into one delicious recipe. Combine 3 cups granola, coconut, flax, salt, egg replacer, sugar, oil, almond milk, and flour in a large bowl. Transfer the granola mixture to a greased rectangular baking sheet and press into an even layer. Spread the jam evenly over the layer of granola. Sprinkle the remaining 1 cup of granola evenly over the jam and spray lightly with a vegetable oil-based cooking spray. 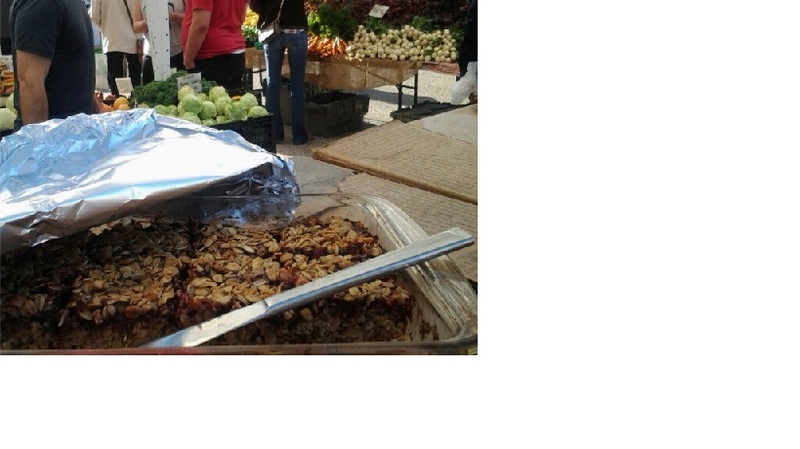 Cut granola squares with a sharp knife and allow to cool before serving.